MISSOULA — It was supposed to be a simple surgery. In one day, out the next. But when Steve Heintz, 61, assistant general manager of Red Lion Inn in Polson, came out of his surgery for prostate cancer on July 11, something wasn’t right. He was running a fever of 103.9 degrees F.
Internal bleeding led to four blood transfusions, an infected hematoma, and three additional surgeries, she explained. “They thought he had sepsis that could damage all his internal organs and cause nerve damage, so we were sent to the disease control at St. Patrick’s Hospital,” Wanda said. They were told Steve must have had a resistance to the antibiotic he was receiving. “They said he was the only one this has happened to in nine years,” Wanda said. The ordeal has left the family in a panic. The short-term medical insurance she thought would cover more than $200,000 in hospital and doctor bills won’t come through, explaining that the cancer was a pre-existing condition, although Wanda claims the cancer diagnosis came after she purchased the insurance. 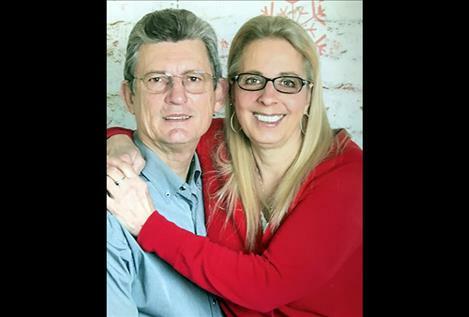 People who want to help the local couple may go online to donate, or to 1st Citizen’s Bank in Polson where an account has been set up in the name of Steve Heintz. For 14 years Wanda owned Pampered Pets. She now works in the kitchen at Linderman Elementary School.